In addressing and referencing, Trade Union members call each other, “Sister” and/or “Brother”. It should be a reflection of sociable family relationship, but for some time now, this has not been evident in the General Council meetings of the National Organizations of Trade Unions (NOTU). In their conduct, there has been a lot of heckling and indiscipline. The positions posing enmity are: the Chairman General; Secretary General and its three assistants. For the others, as much as it is a recognized contest, the campaign process is not that vitriolic. The Chairman Generalship pits the incumbent, Usher Wilson Owere, of Amalgamated Transport and Workers’ Union, against Richard Bigirwa, the Vice Chairman General, of the Uganda Bottling, Bakers, Millers and Allied Workers’ Union, who lately replaced the expelled Stanley Kaggwa, of the Union of Educational Institutions. Bigirwa is a recently co-opted member from those unions that broke off from the Central Organizations of Free Trade Unions (COFTU) and joined NOTU. 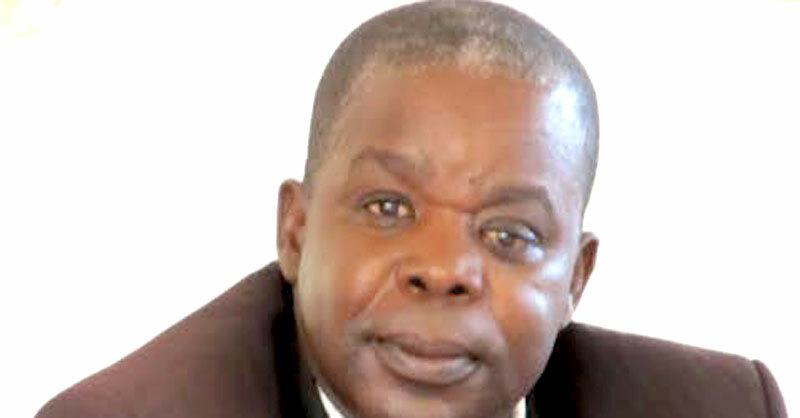 COFTU is normally associated with its divisive Secretary General and Member of Parliament (MP), Dr. Sam Lyomoki. The Secretary Generalship, currently held by Peter Werikhe, of the Uganda Public Employees Union, is contested by Robert Matukhu of the Uganda Union of Infrastructural, Civil Works and Wood Workers, currently the Deputy Secretary General. In both positions, the contention is not directly being brought by Bigirwa and Matukhu, but by two NOTU trustees; Frank Mugyema of Uganda Hospitality, Leisure and Allied Workers Union and Ezra Kanyana of the National Union of Theatrical, Domestic and General Workers. Werikhe has suspended these two “brothers” for that; the Extra-ordinary Delegates Conference of 2017 “did not appoint persons to constitute the Board of Trustees….” He added that those members (presumably Mugyema and Kanyana), who were not appointed to the new Executive Board were not to “refer to yourselves as leaders of NOTU or perform any activity” on behalf of the organization. Mugyema contests this as false since, “the matter of Trustees was never discussed” and those positions remained and were incorporated into the draft constitution. He informed the Union that Werikhe acted unconstitutionally to sack them pending this December’s delegates’ conference. This repartee is relevant because, Mugyema and Kanyana have been challenging both Werikhe and Owere in an earlier communication on the “Asset and Financial Impropriety by the Top Secretariat of NOTU.” Mugyema categorically refers to “the three top Secretariat [officials] transact business on behalf of the board….” The top three are: Owere, Werikhe and the Treasurer General, Stephen Legesi, of the Uganda National Teachers’ Union. Mugyema, who is standing for the position of Deputy Secretary General (Administration), also accuses Werikhe of usurping the powers of the NOTU Executive Board by forwarding his “name and somebody else” to fill the posts in the National Social Security Fund (NSSF) board, to which NOTU is entitled. As such the Minister of Finance and Economic Development rejected them as “not qualified”. Mugyema warns the NOTU Executive on its functions “not to be allowed to usurp your powers”. This matter had arisen again in 2015, when Chairman General Owere, in a letter to “Brother” Secretary General Werikhe, “learned through rumours that you have secretly submitted a letter to the Ministry” for appointment to the NSSF board when the due process had not been followed. In last week’s General Council meeting the minuted matter of the suspension of Mugyema and Kanyana, again failed to be resolved, prompting the Workers’ MP and Parliamentary Commissioner, Arinaitwe Rwakajara, of the National Union of Government and Allied Workers to propose that the matter be investigated by the four NOTU Workers MPs: himself; Charles Bakkabulindi, the Minister of State for Sports, of the Uganda Beverages, Tobacco and Allied Workers’ Union; Agnes Kunihiira, of Uganda Railways Workers’ Union; and, Margaret Rwabushaija, of the Uganda National Teachers’ Union. The General Council resolved and adopted this proposition.